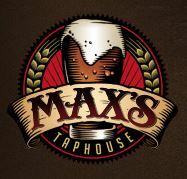 I did make it to Max's after all, on Saturday, 6 December, sampling nad-pulled cask ales from Moor (Southwest England) and Ridgeway (Oxfordshire, England). Moor Envy: 4.2% alcohol-by-volume (abv) 'fresh-hopped' ale with British First Gold hops. Herbal, green tea, lemon zest, hint of butterscotch candy. Moor So' Hop: 4.1% abv golden ale hopped with New Zealand hops. Tropically fruity, citrus, freshly cut grass, and a hint of honey. Ridgeway Bad Elf: 6% abv strong golden ale, very grapefruity, with an underlay of butterscotch-like malt.